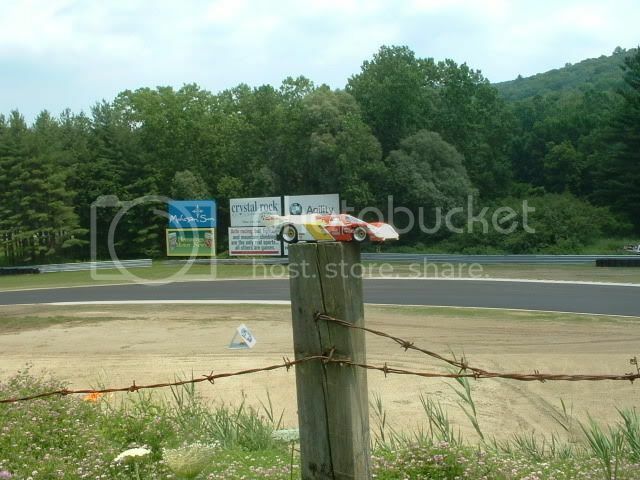 Just wanted to let everyone know the we have just added a dedicated BRM gallery. We're just getting started and hope to have more images soon. Last edited by Scaleracing; 05-25-2009, 10:16 PM. 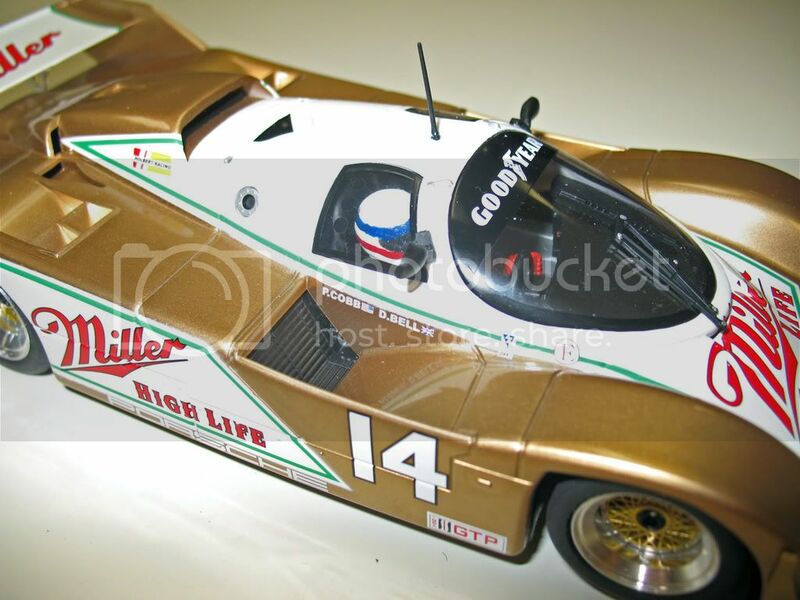 The BRM driver figures come with a simple, painted driver's suit, however, the driver's helmet has no detail. 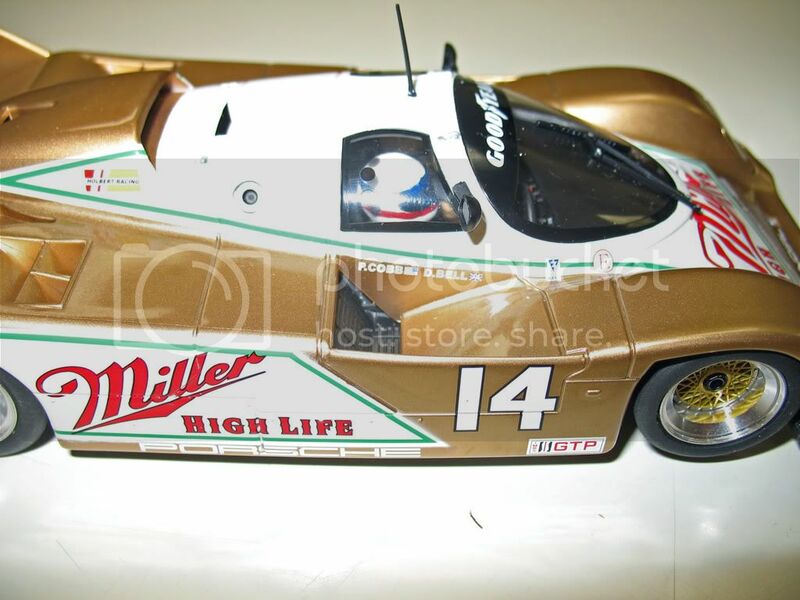 This particular car is modelled after the Holbert Racing entry from the Mid Ohio IMSA race in the mid to late 1980's. 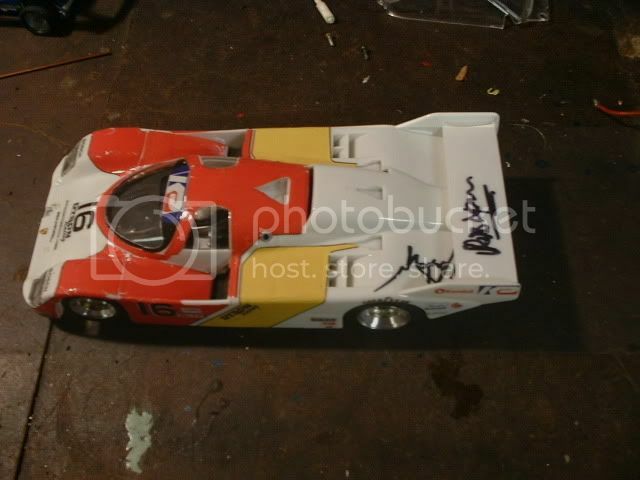 Derek Bell and Price Cobb shared driving duties for this car. Since Derek Bell is my most favorite endurance driver, I had to honor him by painting the red and blue stripes on the driver's helmet. Very nice job my brother- did you get the wheel inserts I sent you in the mail? 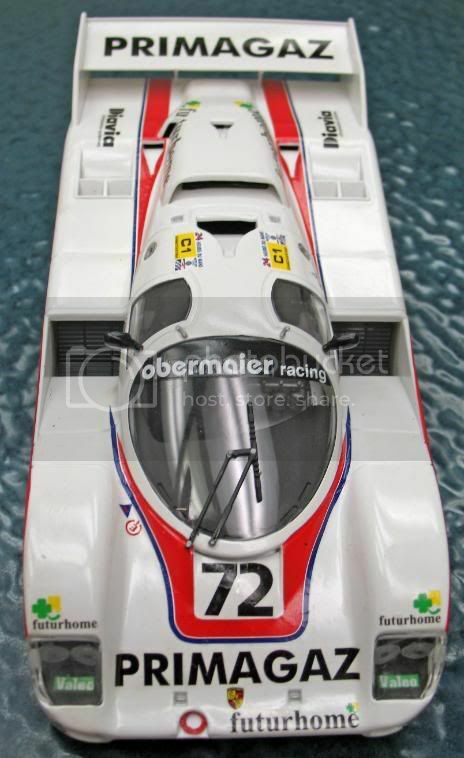 may i ask how could you justify using an IMSA body for a LeMans race??? just an enquiry,although they really look good. 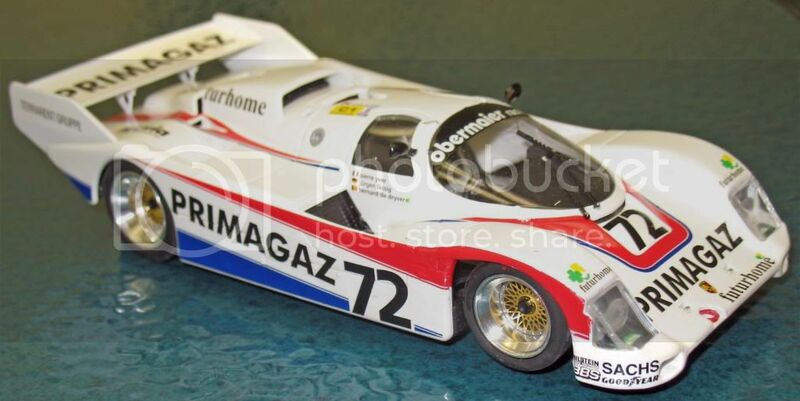 I have only 2 justifications: 1) The IMSA 962 is a little closer to the actual 962C that ran at Le Mans in terms of looks, and 2), I dont want to have a wing nerfed in the middle of a race and repair it under green flag conditions. In total, this makes the car totally legal for the BRM chalenge and 99% bomb proof except for mirrors. I know the IMSA cars are single turbo vs. the twin turbo 962C in 1:1, however, I'll take what I can get to be (totally?) legal for the BRM Challenge . Ya never know if one finds a slight competitive edge in that grey area of the rule book . 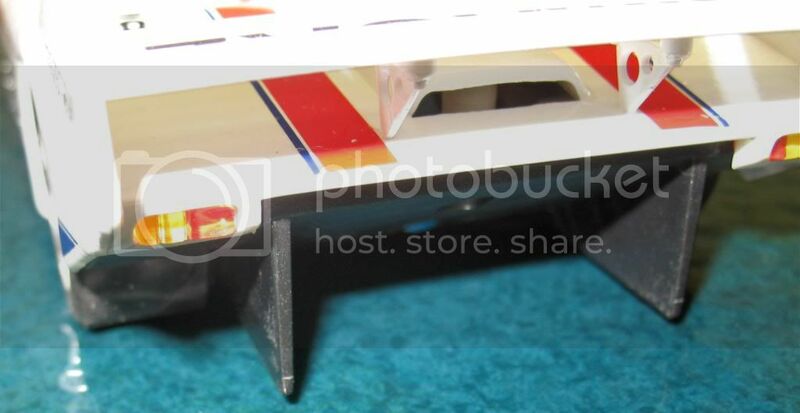 What racetrackset do you race on Carera or the routed tracks just curious. Why do these machines cost a bit more. Can you get these machines at a lower price range? We race on NINCO, Carrera and Wooden tracks. The BRM cars are made in small numbers which reflects in the price, the Porsche 962 C and the Toyota's only 1000 pieces of each car were produced for sale Worldwide. 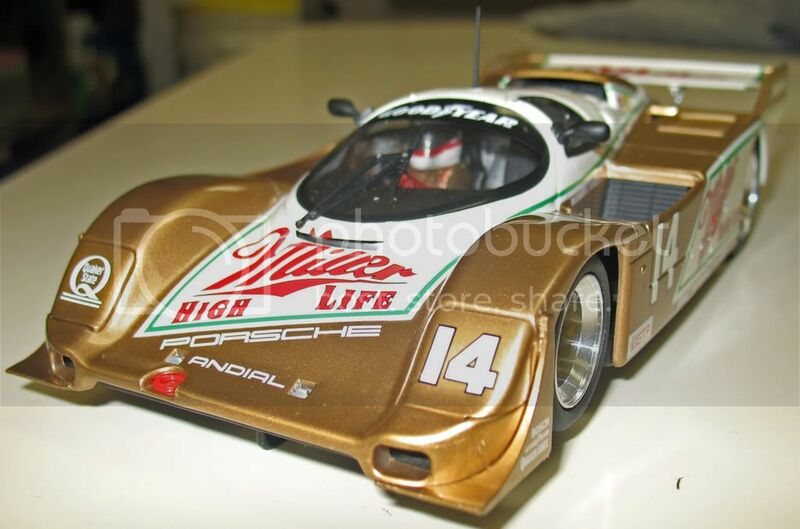 The IMSA Porsche was produced in 1,500 pieces per decoration. The Toyota's BRM 011 and BRM 014 are $149.99. There is also a Limited edition Toyota, complete built car for $169.99 with only 300 produced. You may ask why not make more of each car if this would reduce the retail price of the car, well right now the 1000 to 1,500 of each car is enough to satisfy the demand, although this end of the Hobby is growing slowly. 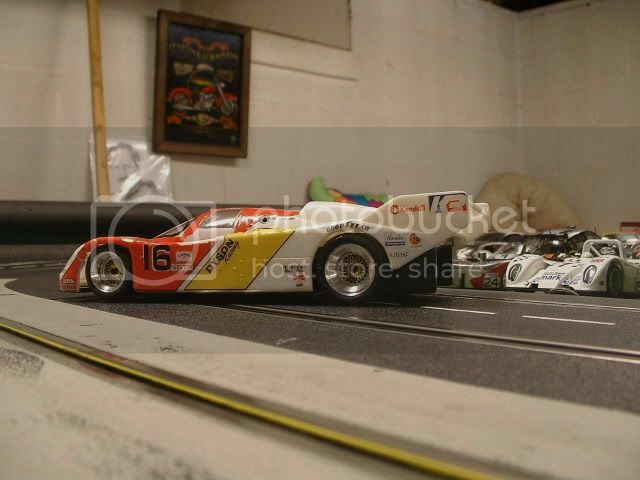 BRM are a small Company of enthusiasts looking to grow Scaleracing Worldwide. Take the BRM Challenge and we will see you at the races. Last edited by Scaleracing; 05-13-2010, 10:04 AM. 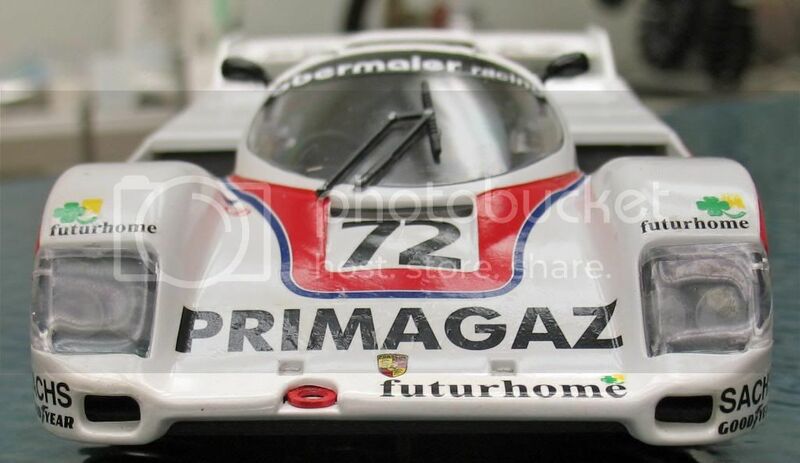 I thought I'd post a pic of my BRM Porsche 962. Buddy of mine produced the vinyl stickers for me. Gulf livery. 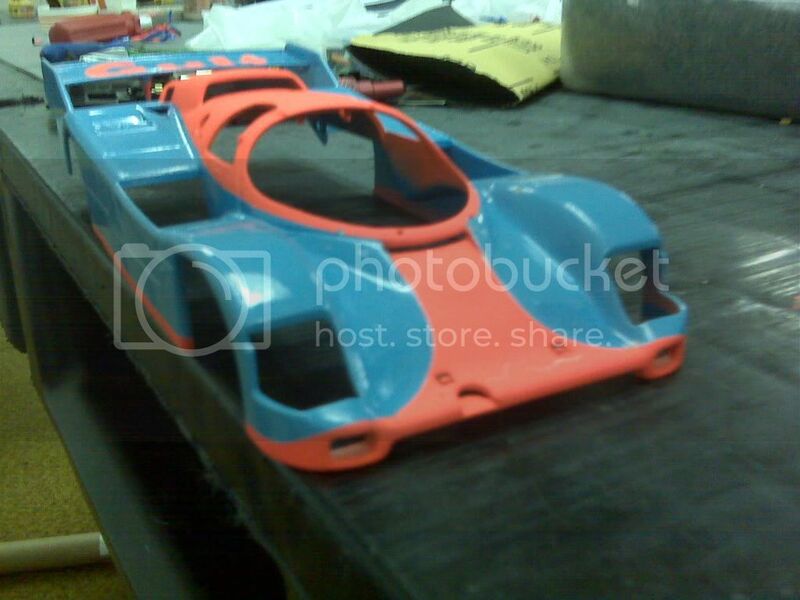 After running a race at a track close by, I found it necessary to buy a new body. We were informed upon arrival that thr race would be run under "Crash & Burn" rules. As we found out, if you de-slot you must leave your car on the track until the next minute mark. Meaning that if you crash at, lets say the 30 second mark, you must leave your car where it ended up until the 1 minute mark. If you crash at the 1 minute 15 second mark, you must leave your car on the track until the 2 minute mark. Oddly enough, there were plenty of people available to marshall the track. Well, these guys LOVED ramming into anyone who was unfortunate enough to have found themselves powerless. They'd laugh, hoot and hollar as they ran around in a demolition derby style of racing. My car was nearly demolished as I was new to the track and admittedly not a very good driver. I've been racing for a month. So, here's some pics of my new entry. Needless to say I'll never race at that track again. Nice photos. The larger car gives a better canvas to do your work. Some photos from Nurnberg Toy Fair 2012 now in the new Gallery.